The Chinese smartphone maker has recently launched a new device in the A series called Oppo A37. The device offers an enhanced photography experience as it allows more entry of light into camera. This lets you take bright and high quality selfies even in dim light. 16GB internal storage along with expandable storage of up to 128 GB provides enough space for your favorite movies and songs. 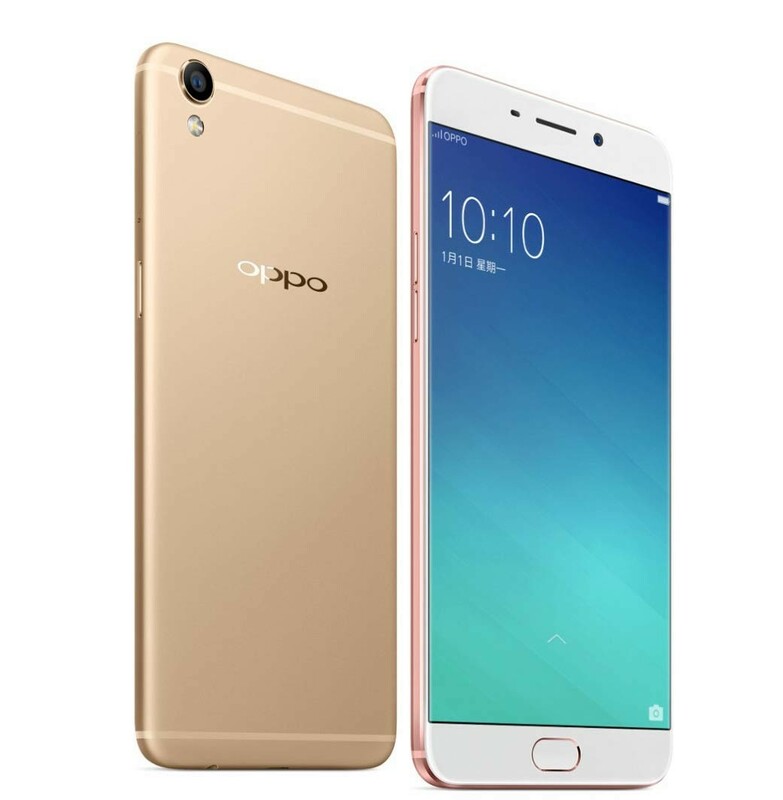 Oppo Electronics Corp was founded in 2004 and the company is based in Guangdong, China. In addition to being the manufacturer of a wide range of products, the company has made a strong base in the list of smartphone makers. In this league, the company has recently entered the list of top 5 global smartphone manufacturers. Due to diligent marketing and robust offline manifestation, it became one of the fastest growing smartphone company. Highlights: Oppo A37’s display emits a flash which brightens faces even in low light. The light-sensitive sensor adjusts screen brightness according to your face. Take amazing natural-looking selfies regardless of dim light. Not only this, with the real-time beautify feature, you can get stunning shots that you can happily share in your circle. Classy curved glass display: The device comes with a metal built unibody design and weighs 140 grams. It measures 143.10 x 71.00 x 7.60 (height x width x thickness) that gives it a classy, slim look. It has a 5-inch HD IPS 2.5D curved glass display with 1280 x 720 pixels resolution and Corning Gorilla Glass 4 protection. Camera specifications: It includes an 8-megapixel rear camera with LED Flash, f/2.2 aperture, 1/3.2-inch BSI sensor, 1.4μm pixel size and 1080p video recording with a 5-megapixel front camera using f/2.2 aperture, 1.4μm pixel size, 1/4-inch sensor and OmniBSI+. Although the resolution seems small in comparison to other available products around, the larger pixels size allows better capturing of light. This results in high quality performance under low light and considerably lesser noise. Connectivity: A37 is a dual SIM (GSM and GSM) smartphone and accepts micro and nano-SIMs. Connectivity options comprises Wi-Fi 802.11 b/g/n, Bluetooth 4.0, FM, 3G HSPA+, 4G LTE, NFC and GPS. Sensors on the phone include proximity sensor, ambient light sensor, accelerometer, and gyroscope. With new smartphones hitting the market every day, each boasting of its features and specifications, HTC came up with an innovative idea- make a smartphone compatible with the true world. And, with the launch of HTC Desire 826W, the company introduces a new smartphone to the world- one that lets you experience true freedom with its amazing features. Designed for ultimate compatibility, whether you are on a CDMA, 2G, 3G or 4G LTE network, this smartphone doesn’t limit your boundaries and lets you discover everything you desire. Here are a few amazing features that make HTC Desire 826W- desirable for all. Design & build– As far as design and build is concerned, HTC is known for making stunning designs, but most of its smartphones tend to resemble each other which is not always good. For instance, the Desire 820, 820s and Desire 820q have the same look. 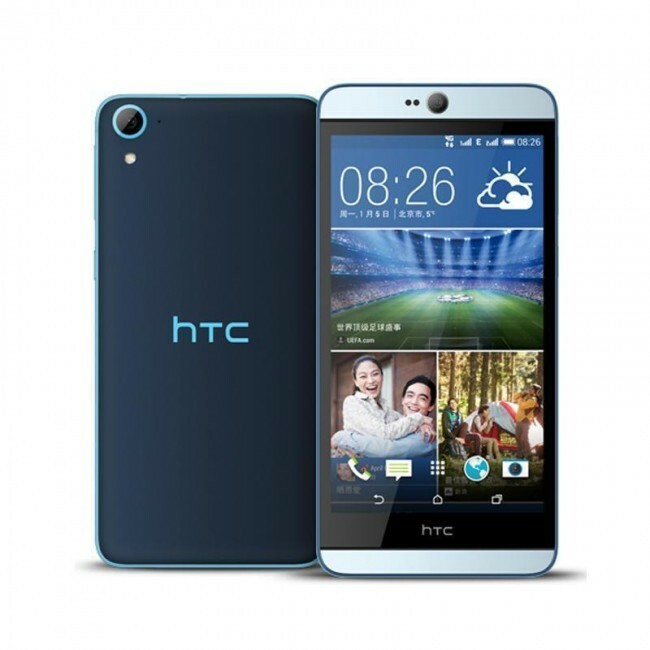 However, the new HTC Desire 826W is different in design and build and looks. HTC’s double-shot design is a candy bar form factor built entirely of plastic available in two distinct color tones. The Desire 826 certainly looks and feels better than either of the Desire 820 handsets, especially since it gives way to glossy plastic in favor of the Eye’s more premium matte finish. Display– The HTC Desire 826W has a 5.5 inch full-HD super LCD3 capacitive touchscreen display with a 1080×1920 pixel resolution which roughly translates to 401ppi. The HTC Desire 826W with its full-HD display offers lifelike views of every photo or video displayed on it. Furthermore, an accelerometer, light and proximity sensors, and Ambient add more to your special experience with this phone. Another wonderful feature of the phone’s display- it is not prone to smudges/fingerprints unless you have greasy fingers. Camera– With the HTC Desire 826W, the company introduces a quality camera allowing you to capture your amazing moments. The phone features a 13 megapixel rear camera with autofocus and LED flash and a 13 mega pixel front-facing snapper. The outdoor picture quality was really good and had a good amount of detail but the indoor picture quality required light to come out well. Performance & battery– This elegant looking smartphone from the HTC Desire family has Qualcomm Snapdragon 615 Octa-core Cortex-A53 (1.7GHz x 4 + 1.0GHz x 4) processor, and is 7.75 cms in width. It’s height is 15.8 cms whereas its thickness is .79 cms. The smartphone’s battery life of up to 21.7 hours while on a 2G band and 18.6 hours with 3G make it a must buy. Its battery life increases in terms or standby time of almost 625.8 hours with 2G band and 687.2 hours with 3G band on it’s 2600mAh battery. This smartphone is all set to win your heart and make you the talk of the town with connectivity for GPRS, Edge, 3G, 4G LTE, and USB up to version, 2.0, Bluetooth version, 4.1 and much more. From 3Gp, MP4, Mkv to WMV, AVI, it offers support for every kind of video or audio format. These features add to its performance level like no other smartphone in the market. Simple is beautiful! Tech giant Apple INC. has been focused on developing beautiful experiences with very simple mobile phones for every user. Since inception, Apple INC. has established itself as the biggest player in the market through consumer friendly features like no other. From iPhone to iPhone 6s, every product has added to the company’s commercial success on the corporate front. Apple INC. has always taken the world of smartphones by storm with its easy to use and technically impressive single button iPhones. Once again, the company seems to be all set for setting the world of smartphones on fire with its much anticipated Apple iPhone 7. Smartphone lovers are dying to know about it. Most of them are already visiting Apple’s corporate website twice a day in this regard. Here is everything we have come to know about Apple iPhone 7; from its date of release to specifications and features, to performance. It has not been launched, yet it has become the most important headline to the entire tech world. The tech world is already calling it a huge revolution. According to the rumors, it is expected to debut in the month of September 2016. However, the actual launch date is yet to be finalized and announced by Apple INC. 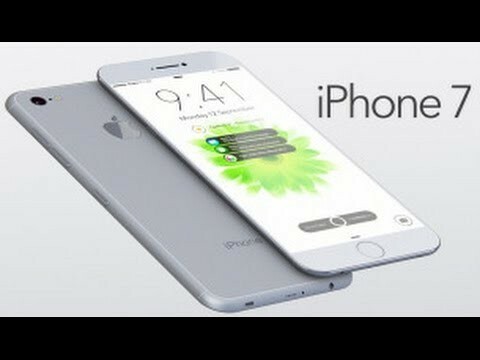 The Apple iPhone 7 is likely to exceed all of its predecessors with a bigger size and ultra-advanced technology for a better user experience. Its display size will be slightly bigger than the size of its predecessors. It is likely to be 5.8 inches in size. iPhone 7 is definitely going to surprise you on the technical front. If you are an iPhone/Smartphone addict, you are advised to be careful as you read the features of this new phone. 5 mm Sound Jack excluded. Apple INC. as we know, is an established brand in the market of smartphones. Despite this, Apple never paid much attention to the battery life. This has always been a kind of bothersome issue for all of iPhone lovers. If the rumors are believed, the company seems to have taken this complaint to heart. Therefore, Apple INC. is thinking about upping the battery’s size for iPhone 7. Perhaps, its new battery will be a 7.04 watt-hour model as compared to its previous version of 6.61 Watt-hours. This move may significantly reduce the number of users complaining about iPhones’ battery life. Moreover, the display quality will get much sharper than it currently is. Apple supports your selfie needs with an awesome 12MP camera offering lifelike picture quality. Apple INC. is planning to cash in on your love for clicking personal moments into a picture for a lifetime. It will surely rule the roost with many amazing features such as face detection autofocus, dual LED flash, 4k video and 8MP image recording, face/smile detection and support for every video format. A six Core A10 processor is expected in the kit for taking its performance to the next level. Calling, video recording and photos are surely going to be a lot of fun with three times quicker and improved touch quality. Its increased battery size will also give you the pleasure of listening to music and browsing internet for a longer period of time. This waterproof handset will come in beautiful space gray, silver, gold and rose gold colors. For all those smartphone lovers who are holding themselves back due to the high prices, here is an entirely new smartphone available from one of the world’s premier manufacturers. Even if you do not have a whole lot of money, you can still add that X-factor to your personality with the latest LG Phoenix 2 in your hand. Starting its journey with the launch of their first smartphone in 2009, LG has released many amazing phones with useful features. LG’s innovative technologies are focused on maintaining their hard-earned reputation by bringing value to the lives of consumers. The affordability and amazing features have made it the brand of common people. 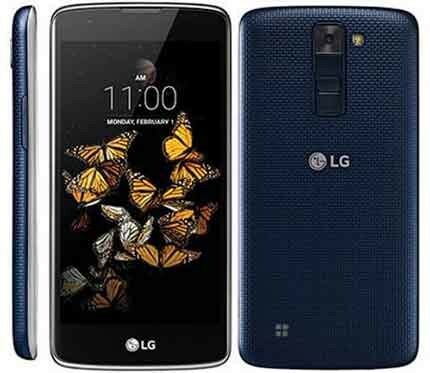 Known for bringing a wide range of android and 4G smartphones incorporated with cutting edge technology, LG is giving competition to some of the major brands. It holds a glorious reputation of manufacturing some of the most successful and amazing devices in the market. Curved design and exclusive rear keys: The appropriate size along with rear control keys has made it very comfortable to fit in the palm of your hand. It allows easy control to power up and down, set volume and much more. The battery cover is textured for a solid and secure grip. These features add both comfort and convenience. Power pack storage: It comes along with a removable battery and helps you enjoy many benefits. It gives you the privilege to replace it with a new one in case your battery has lost it’s power. Expandable memory: The micro secure digital (microSD) slot supports up to a 32GB memory card. This makes the phone even more affordable for you as you need not to worry about the memory while adding your priceless pictures and videos. You can easily enhance the built-in memory by utilizing the memory card slot. It also allows you to store and transfer files between different devices. Camera: With the help of an 8 megapixel touch and shoot camera, you can easily take pictures with just a tap of your finger anywhere on the screen. The LG Phoenix 2 specifications include a 5MP front camera with Gesture Shot that allows it to capture a picture with just a gesture of your hand. You don’t need to tap a single button on your phone. Just open the front camera, raise your hand and let it detect. All Eyes Are On the Release of One Plus 3 That Comes With Amazing Features You Won’t Believe! 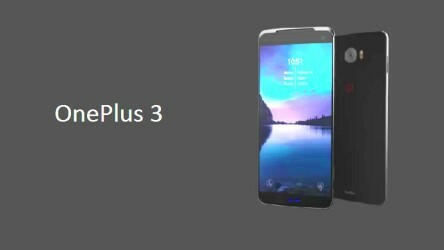 One Plus has finally unveiled one of their most rumored mobile phones, the OP3 and, if rumors are to be believed, this is going to be an excellent value flagship, priced within the budget. We bring all the leaks, rumors, specs, features and tidbits about this amazing device, One Plus 3, from around the web exclusively for you! This Chinese phone manufacturer is quite popular for its high quality features and specs. The brand, One Plus is treated as nothing less than a rival from its competitors such as the Samsung Galaxy S6 and the Sony Xperia Z5. All eyes are firmly set on the release on this brilliant phone. Let us take you to its interesting review and find what is in store for its fans. One Plus was first introduced at the end of 2013 and they’ve already released two high-specs phones – One Plus One and One Plus 2. The brand enthusiastically geared up for its third major phone launch after many assumptions, rumors and predictions by the experts. Here’s everything related to its features, design, processor and more of what we know about this device and what we can serve you hot! The noted tipster @leaks posted a few images of this device showing the front and bottom which is treated as an official render across the web. The image shows the fingerprint sensor on the home button. The leaks indicates that this device, One Plus 3, will feature an Amoled display. And a new update, shared on Twitter about the battery, is that the battery of this device will actually be 3000mAh, less than what was rumored earlier to be 3500mAh. The specifications of One Plus 3 includes a 5.5 inch display screen size with 1080p resolution and stunning Gorilla Glass 4 for protection. The device is expected to be shipped with a Qualcomm Snapdragon 820 processor. This device, One Plus 3, is expected to come in two variants: 4GB RAM and 32GB internal storage and the second variant will have 6GB RAM and 64 GB internal storage space. The device will have the Android 6.0 Marshmallow OS which is assumed to be one of its eye catching features. The device will feature a 16-megapixel rear camera and 8 megapixel front camera. What’s more interesting about this phone is that it will have a new ‘dash charge’ feature which is known for fast charging. So, you can use your phone without the usual hassle of charging the battery, as now you’ve a fast charging option. So, you’ll enjoy non-stop, unlimited fun with your new and amazingly superb One Plus 3 device. The brand, One Plus, is promising to be a superb experience with this phone and calls One Plus 3 an absolute winner which will live up to the expectations of its fans and will in fact set new standards like the previous flagships. Posted on May 23, 2016 May 24, 2016 Author adminCategories One Plus 3Tags One Plus 3, One Plus 3 Batery Life, One Plus 3 Display, One Plus 3 Features, One Plus 3 Performance, One Plus 3 SpecificationLeave a comment on All Eyes Are On the Release of One Plus 3 That Comes With Amazing Features You Won’t Believe! After tons of rumors, speculations and assumptions regarding the launch date, specs, price and availability of the Xiaomi Mi Max, the device was finally launched on May 10 2016. Xiaomi unveiled the new Xiaomi Mi Max at the product launch conference hosted in Beijing and we provide a first-hand review of the product presented exclusively for you. The rumors claimed something bigger and better but we’ll give you a mega update on the same. This Chinese brand has been successful in impressing its fans worldwide. According to an International Data Corporation report, Xiaomi has been the third largest smartphone vendor after Apple Inc. and Samsung in China. And it bagged the second rank amongst the top 50 smartphone companies in 2015 which added another feather to their cap. Sharing a teaser on its twitter account, Xiaomi said that the huge display of Mi Max would easily fit into your denim pockets. Xiaomi Mi Max will come with a long battery life – lasting at least one day. So, go hang out with friends and don’t worry if you don’t get time to charge it. Xiaomi Mi Max is actually big in size! Yes, the big size here means, 6.64 inch full HD display, and is expected to come with a resolution of 1080x 1920 pixels. 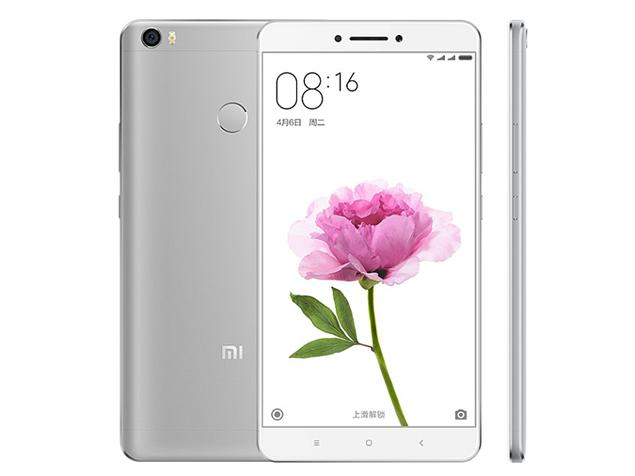 With a 6.64 inch screen, Xiaomi Mi Max seems more of a phablet. It seems as if the company has tried its hands on designing a phablet rather than just a smartphone by making it larger than the Galaxy Note 5 or Samsung Galaxy S 7. But, relax…this is just a smartphone, not a phablet. Xiaomi will be shipped with a Qualcomm snapdragon processor, either with the hexa-core snapdragon 650 or octa-core Snapdragon 652. You’ll get to see three versions of Xiaomi Mi Max. The basic model will come with 3GB of RAM and 32 GB of storage topped up with a 650 Snapdragon processor. The second version will have 64GB storage with 3GB of RAM and a Snapdragon 652 processor while the third version of the model will offer 128GB of storage and 4GB of RAM. The Xiaomi Mi Max runs the new MIUO 8 which is based on Android 6.0 Marshmallow. Xiaomi Mi Max sports a 16MP camera on the back with dual-LED flash and a 5MP selfie camera. The device would be available in excitingly beautiful silver, light grey and gold colors. Xiaomi Mi Max shall come with a 4850 non-removable battery. Get worry-free use now and listen nonstop to music, talk longer and keep in touch! Depending on your plan, your phone may run out of minutes or data allowance but you won’t receive ‘battery about to die’ warning! For your extra security, the Xiaomi Mi Max has a fingerprint sensor on the back. With this fingerprint sensor feature, the device will capture a digital image of the fingerprint which is called “live scan”. This live scan is used to create a biometric which will be stored in your device for matching purposes and this is how the security with Xiaomi Mi Max is assured. Samsung has always been amazing users by updating the phones with even more attractive and useful features every time. This is the reason why Samsung phone lovers always have “latest phones in Samsung” and respective launch dates among their search queries on Google. For quite some time, the Samsung Galaxy A9 Pro’s impending launch is keeping the fans eagerly waiting with some speculations. So, here is a quick look at your much awaited phone. Since its start, Samsung holds a glorious history of fascinating the mobile world with innovative phones. With its charm, Samsung has managed to stay among the biggest smartphone makers in China and around the world. Its Galaxy products have won millions of hearts. Adding another feather to its cap, the recent Samsung Galaxy A9 Pro is going to make a grand entry. Better than before: The Lollipop-based A9 Pro provides features much better than the last launch of the Samsung Galaxy A9. Picture quality is one of the most desired features in any of the upcoming devices. Now you can capture your lovely moments with much better picture quality. Wondering how? With a 16MP rear camera. Yes, that’s right, 16 megapixels. So all you guys and girls out there, be ready to grab your phones and astonish everybody with fine quality pictures. Release: The rumors regarding the release of Galaxy A9 Pro have been brewing up since the launch of metal-clad Galaxy A9 in December last year. The wait of the fans in China is over with the launch of product there, but people outside the region are still waiting to explore the features of this smartphone. The company seems to be launching it in few months and it’s predicted to be available for purchase in the second half of the year. A better rear camera quality: A9 Pro specifications include a much better camera. Get brilliant picture quality with a 16MP camera which is better than the last launched version of the Galaxy A9 which has a 13MP camera. Additional specifications include 1/2.8″ sensor size, geo-tagging, touch focus, face detection, panorama and HDR. The 8MP front camera is accompanied by specific modes such as wide selfie mode, self-portrait mode, palm selfie mode and others. Thus matching to the standards to the previous launched phones in the series. Connectivity: Connectivity is an important feature in any android phone. Galaxy A9 Pro supports dual-SIM card slots and provides rich APIs to connect and interact with other devices over Bluetooth v4.1, GPS, Beidou, NFC, Wi-Fi, and USB 2.0. Summary: It is predicted to be the most powerful Galaxy A series device. It has already been a long wait since December, but the company seems to be unwrapping the Pro version very soon. So keep a close eye on launch news till the beautiful Pro A9 makes a grand entry to your nearby stores. The rumor mill is running hot right now. The fans already seem quite excited for the Samsung Galaxy Note 6. Loads of speculations and assumptions regarding the launch date, specs, price & availability are making the rounds on the internet. So, is the king of phablets going to return to the top this time? 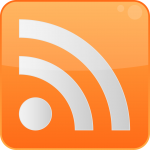 The rumors claim something bigger and better but we’ll give you a mega update on the same. Samsung is among the biggest players in the smartphone market in the world. In 2011, the original Galaxy Note was announced which was a commercial success. The Galaxy Note series is the first commercial example of phablets- which is considered as a class of smartphones with a large screen. The Samsung Galaxy Note 6 could be one of the biggest smartphones of 2016. And here’s everything we know about the Samsung Galaxy Note 6, from release date, features, specifications & performance. It’s going to be bigger this time! If rumors and reports are to be believed, then Samsung is testing two variants of the handset for a completely new redesigned phablet. The one is with the flat screen and another is tested with a gorgeous curved display. Both are tested with 5.8 inch or nearly 6-inch screen sizes and the QHD resolution of 1440×2560 pixels. But which model will see the light of the day is still a mystery. Though no confirmation on the screen style (flat or curved) the brand is working on a slimmer, ultra-lean display to make the panel lighter. Ideally, a big phone requires a big battery to match and we believe that Samsung is not going to disappoint its fans. 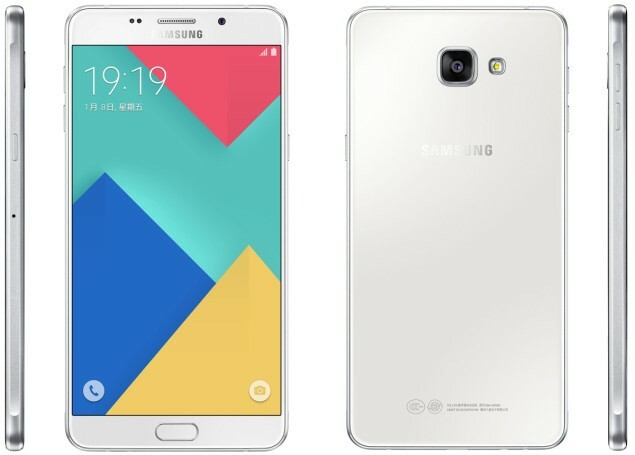 A latest leak suggests that for the Samsung Galaxy Note 6, a battery of 4000 mAh will be used. Earlier, the Note 5 used a 3000 mAh battery in the devices. Well, if this is to be believed, then this seems a great improvement in battery power. 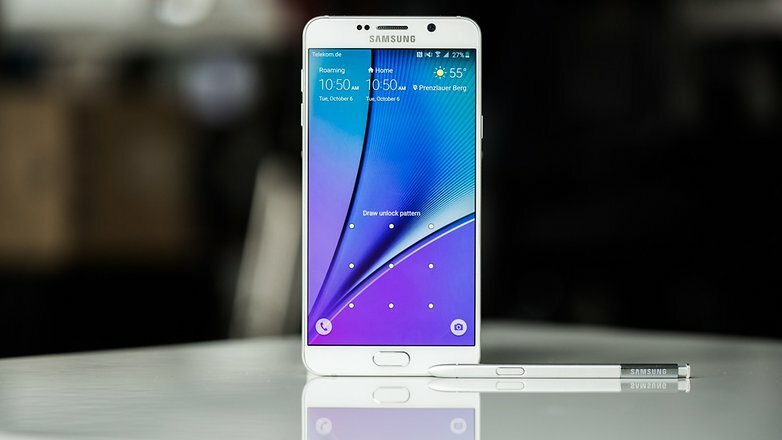 Samsung Galaxy Note 6 was recently expected to be launched in July instead of August. Perhaps Samsung doesn’t want to clash this phablet with the latest iPhone so as to get more exposure. Well, the latest release of the Galaxy S7 has been a big hit and the device was globally appreciated a lot by its fans! A brilliant camera for your selfie love! Samsung knows your Selfie love, folks! Galaxy Note 6 would feature an amazingly brilliant camera this time. The selfie trend (or addiction) is running high on the minds at Samsung! And that’s why the expectations are set to be on a 30 MP primary camera with a 16 MP front facing camera with auto-focus and optical image stabilization features. This smartphone indeed would be very high end and impressive! The Galaxy Note 6 is expected to be shipped with 8GB of RAM with a foldable display of 4K resolution; but earlier leaks reported of 6GB RAM. When it comes to the processor, Samsung will power its newest offering using its in-house processor, the Snapdragon Qualcomm octa-core 2.9 GHz processor. Summary: We know that the fans are enthusiastically waiting for this device to enter the market soon. We’ll keep you updated with latest news. Till then, stay tuned for more interesting news and updates on the Samsung Galaxy Note 6. 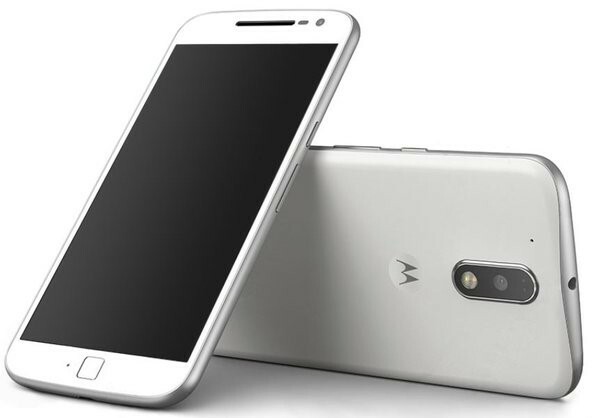 Lots of speculation, rumors and leaks about the Moto G4 Plus are ruling the web world again. In the initial video leaks, a black color handset was spotted while the latest leaks are showing off an excellent white color Moto G4. Well, we all got the color hints from these video leaks, but the leaked images don’t give much detail about the features of this phone. Though the leaked images and videos give a glimpse of a home button, sensor and camera, nothing is confirmed about other features, price and availability of this phone. Motorola Mobility, acquired by the Lenovo family in 2014, has not officially announced the launch of any 2016 flagship models so far. And the 2016 Moto G could also be the first smartphone to feature ‘Moto by Lenovo’ branding. This Chinese Android smartphone announced its plan to drop the name “Motorola” and do the branding with ‘Moto by Lenovo’ instead. Even the name G4 is confusing people as there has been no official confirmation. The name Moto G4 Plus hit the headlines when the phone tipster Evan Blass @evleaks shared an image on Twitter claiming to show the first look of the Moto G4 Plus, which is actually undergoing the testing phase at Merchandise Mart. The image posted by Evan does not show the entire handset clearly but it just shows the home button which is likely to integrate the fingerprint reader. No confirmation is received on whether the fingerprint scanner is a standalone sensor or integrated into the home button, this feature seems quite similar to Galaxy handsets. While nothing is confirmed on the launch date as well, the leaked images and videos on the web have ignited the rumors and the ‘Moto’ news all around. The last we’ve heard from this brand was about Moto X3. Motorola’s 2016 Moto G4 Plus is likely to arrive soon, as some are predicting it to be launched in the month of May. But the rumors hint that this new flagship smartphone for 2016 will be the first to feature a fingerprint scanner. Though we still don’t know about specs, the video reveals that the device will have a larger display as compared to the 3rd Gen Moto G shown in the video. Well, Lenovo has earlier shared that all future Moto devices will have big screens, larger than 5.5 inches in fact. The Moto G 4 Plus will have a micro-USB port and an active display for pushing notifications. Few other hints across the web regarding the features and specifications of this Moto G4 Plus device have been received. The device is rumored to feature a 5.5 inch capacitive touchscreen. Moto G4 Plus is predicted to be stocked with the Android 6.0 Marshmallow version of the operating system. The device may feature a 16 MP rear facing camera with a micro SD card slot and an internal storage space of 16 GB. The color hints are that black and white are already shown in the videos shared across the web. So, as far as color of Moto G4 Plus is concerned you will get at least two options, black and white to choose from. We are holding out hope that more will be available by the launch. Summary: We leave you guessing about this Moto G4 Plus of what it may look like, the camera feature, and if it has something special for selfie crazy folks or not. The price, availability and most importantly the launch date. Keep guessing till the moment we bring you a little refresher on that. 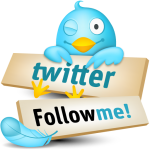 Till then, keep guessing and expect it to enter into the market soon. Apple iPhone SE- Super Compact Size & Stylish Design. This is Just a Charming Combo! It’s all over media and news, the next big thing from Apple is the iPhone SE. Apple recently unveiled this new device in the live media event ‘Let Us Loop You In’. Those waiting for the iPhone 6S Mini will surely find this iPhone SE a great choice. Read the interesting Apple iPhone SE Review and see if this new 4-inch iPhone lives up to your expectations. Apple’s first revolutionary device was released by the legend, Steve Jobs himself at the Macworld Conference in San Francisco in 2007. And since then, every new launch from Apple is an excitement for the fans as they wait so eagerly. The brand has come a long way, from the iPhone 3G to the iPhone4, 4S, 5, 5S and then the latest iPhone6 and 6S. After the wonderful success of the iPhone6 and 6S, Apple recently unveiled a new device in a super compact size & stylish design- a great combo that certainly is worth buying. Well, the term SE, in the iPhone SE, is going through lot of controversies and users have still a lot to assume & interpret from this moniker, but we bring you an interesting Apple iPhone SE review on this smaller edition. Elegant appearance! This is what Apple has always conveyed through its designs to the entire world! The new member of this creative clan – the iPhone SE is surely going to impress you with its looks. The iPhone SE comes with a satin-like look, light-weight (just 113g) and so lean that it fits into your hands pleasantly. This device has a sharp and vibrant 4-inch retina display with 1136 x 640 pixels of resolution. The matte-chamfered edges add much to the beauty of this device. Those who don’t like keeping big phones now have a suitable alternative – this small, beautiful Apple iPhoneSE. With a 64-bit A9 chip, M9 motion co-processor and 2GB of RAM, you will experience an impressive speed with the iPhone SE. Compared to the iPhone6S, it works equally fast and is amazing. For all of you crazy selfie folks, the live photo fun feature in this iPhone SE is sure to keep you glued to your iPhone camera! Clicking pictures is just a charm with your iPhone SE. The live photos make the stills so alive that it will surprise you. You are sure to love creating live memories with this beautiful 12 MP camera! The device comes with a custom display chip that displays the flash thrice brighter than the usual one. And the retina flash in the front facing camera just brightens up your selfies in the low light as well. What’s more amazing with the camera is the True Tone Flash- more colors and natural looking skin tones for your selfies. So, take out your iPhone SE and fall in love with its live photos feature. Shoot more and have fun with your friends! With this phone, you can now enjoy more! Download more games & apps, shoot more videos and explore more content on the internet with iPhone SE, because its long-lasting battery will keep you going! In fact, it lasts quite a bit longer than the iPhone5S. Sounds exciting? No matter how much you use it, it’ll last for the entire day! 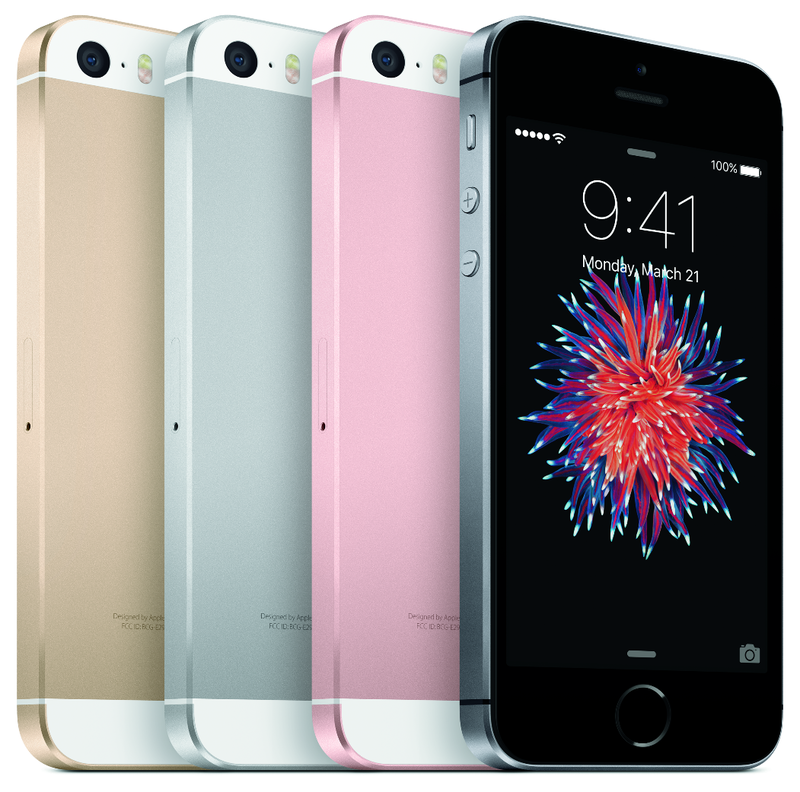 More exciting colors like, Space Gray, Gold, Silver and Rose Gold in iPhone SE are available to choose from. Pick whatever suits your style the best. You’ll find the Apple iPhone SE Price genuine if you look at its overall performance. And when it comes to memory space, in case you don’t want to store on iCloud, you’ll find enough space for all your needs in the 16GB or 64 GB versions of this new iPhone SE. Summary: Go ahead and show off this new Apple iPhone SE! After you read this Apple iPhone SE Review, just rush & get it on order! This beautiful, small phone is meant for you if you don’t like holding a big mobile phone in your hand. Posted on April 25, 2016 April 25, 2016 Author adminCategories Apple iPhone SETags Apple iPhone SE, Apple Mobiles, Battery life iPhone SE, iPhone SE Features, iPhone SE Performance, iPhone SE Specification, Screen Size iPhone SELeave a comment on Apple iPhone SE- Super Compact Size & Stylish Design. This is Just a Charming Combo!